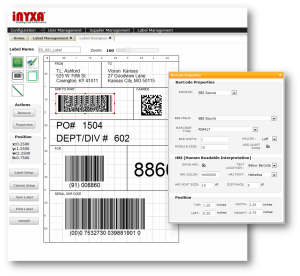 Inyxa’s Remote Supplier Labeling product helps improve warehouse receiving efficiency by deferring labeling, packaging and capture of Lot & Serial numbers to supplier shipping dock. It suggests packing configurations based on the receiving organization’s requirements and enables suppliers to print Labels based on the packing configuration. This solution helps reduce the time and effort associated with re-labeling of product on receipt, and supports creation of Advance Shipment Notice to cut down on receiving time in the warehouse. For businesses with smaller Suppliers with no labeling infrastructure, this solution enables Suppliers to view & print labels using just a browser and PDF reader. 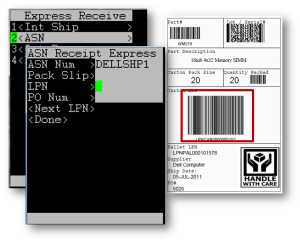 The solution can also be configured to create Supplier Kanban shipping labels or customer-specific labeling for drop ship orders. 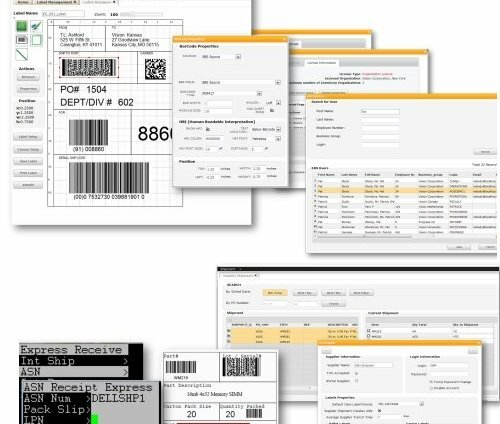 Enables your Suppliers to view and select PO Lines, package shipment, capture lot and serial numbers, print labels and transmit a Shipment Notice. Zero footprint on your ERP infrastructure. An Open XML-based architecture allows your Database Administrator to tweak and optimize queries for your environment. Allows you to set label format by supplier for Item, Pallet and Master Carton (UCC/EAN-128) labels. Can also be configured for suppliers with whom you exchange EDI messages. Quick setup with just a database connection string and User account to get started. Open XML architecture provides database administrators the ability to tweak all queries targeted at the Database. Software requires no installation on Database or Forms server. Can be installed on a Windows Server in your datacenter or a Window PC sitting in the warehouse. Role-based architecture allows configurable access for Label Designers , System Administrators, Receivers and Suppliers. Design Labels directly from a web browser. No additional software or plugin is required. 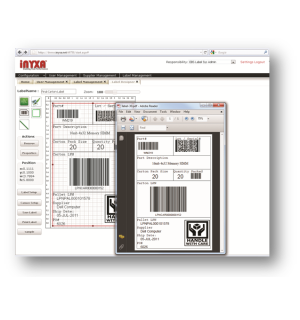 Drag-and-drop label builder allows barcodes, images, lines, boxes and text in a WYSIWYG design interface. Support for a wide variety of 1D and 2D barcode formats including Code 128, UCC/EAN-128, Code 39, EAN-13, Codabar, PDF417, and DataMatrix. 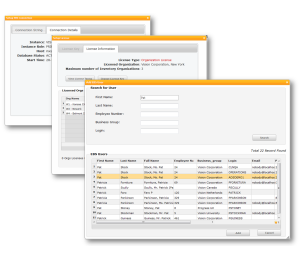 Select from a wide variety of data elements from Purchase Orders, Suppliers and Item records. Ability to easily add additional data elements without any code modification. Assign label formats by Supplier for Carton, Pallet or Item Labels. Provides suppliers the ability to view open Purchase Orders and select items for shipment. Support for Shipping, Pallet, Master Carton (UCC/EAN-128) and Item Labels. 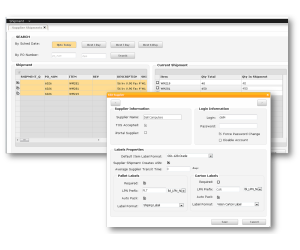 Enables capture of Serial and Lot numbers and packaging information, based on item configuration in receiving warehouse. Generated Labels pushed to Supplier browser as a PDF file, which can then be printed on any thermal or Laser printer. Support for creation of Advanced Shipment Notice based on Supplier Packaging, Pallet and Carton Labels printed and Lot and Serial Numbers entered. Reduce receiving time in warehouse by Leveraging Express Receiving functionality to directly scan only Pallet License Plate Numbers instead of item, quantity, serial and lot bar codes. Auto-pack capability based on standard Carton & Pallet pack quantity stored in EBS. Secure and real-time data updates from EBS using published open interfaces and APIs while maintaining zero footprint. Cut down on receiving time in warehouse by Leveraging Oracle WMS Express Receiving functionality to directly scan only Pallet License Plate Numbers instead of item, quantity, serial and lot barcodes.